B|A|S Research & Technology decided for a new market presence and we are now Concrefy – fresh thinking for construction. We deliver superior material technology expertise to our customers every day, while continuously exceeding their expectations. Concrefy, formerly known as “B|A|S Research & Technology"
Concrefy offers a unique combination of high-tech research, concrete technological expertise and value engineering. We offer Concrete Laboratory, Concrete Consultancy and Concremote. Concrefy’s accredited laboratories offer research into building materials in accordance with international standards. Concrefy is an independent international research institute for technical research, consultancy and damage expertise. Concremote is a real-time information system that helps in taking decisions at the building site and in the concrete factory. Always stay up to date with our news updates. Head of Research and Development, dr. ir. 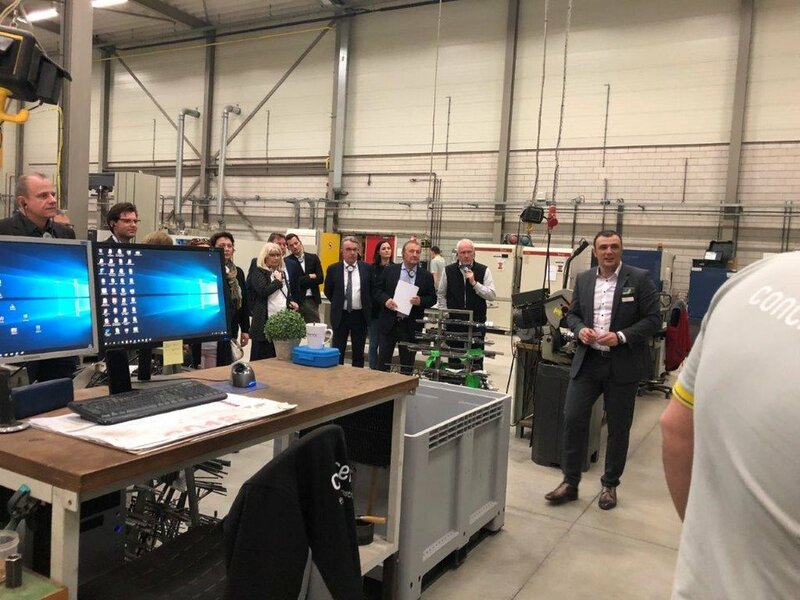 Andrija Blagojevic gave the laboratory tour to twenty representatives of Business Development District of Kleve at Concrefy on April 8. The visitors had a chance to be informed about the company core business as well as the INTERREG project ‘Asset Management 2.0’. 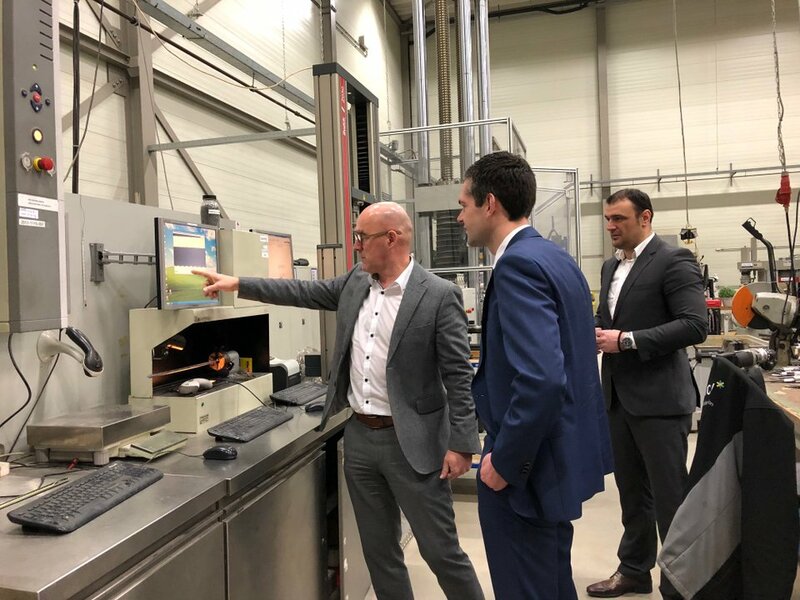 Regional Minister for Economic Affairs and Knowledge Infrastructure, dr. Joost van den Akker visited Concrefy in Venlo on February 22. Asset Management 2.0 is one of the most promising projects of the Euregion Rhine-Meuse-North. Concrefy looks for talent. The 50 employees of Concrefy are resourceful problem solvers who with smart collaboration stay on top of things. Join us! Leave a message to get in touch with the Concrefy team. We're looking forward to hearing from you.